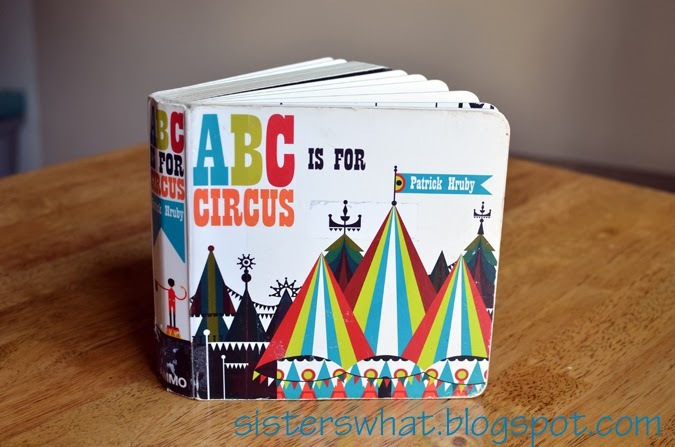 ' ABC circus book & matching game - Sisters, What! As I was uploading these pictures for this post, I realized that today is National Read Across America Day. And so, in honor I'm going to share with you one of our current reads. 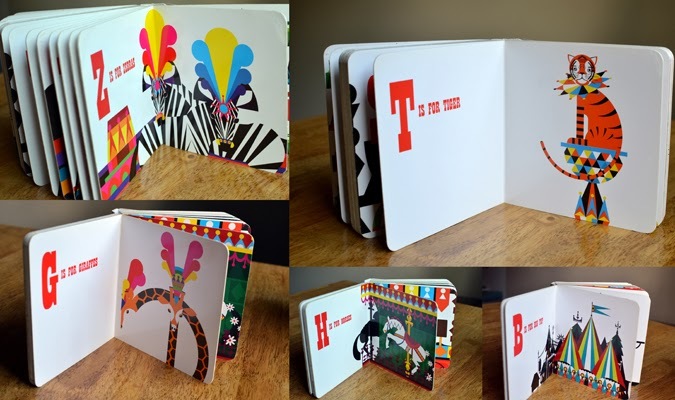 tempted to decorate one of my little ones rooms based on this book. One day as we were reading the book, Captain Awesome had his alphabet rocks out, so I thought it'd be fun to find the corresponding rock letter as we read the book. It was a great activity because the book showed uppercase letters and the rocks were all lowercase. 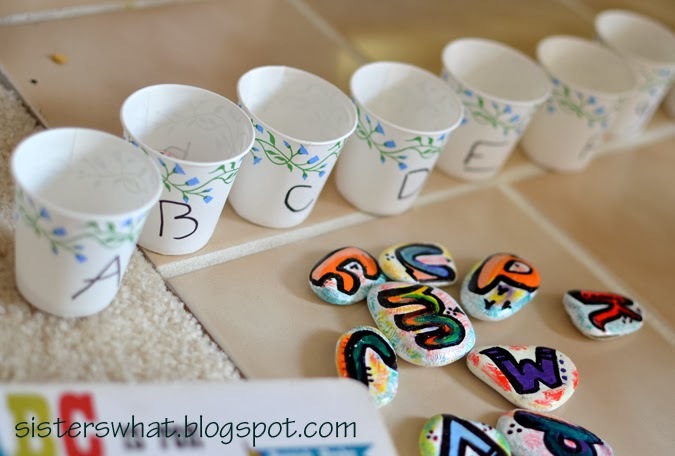 Then the next day, as we were playing with the alphabet rocks, I got an idea to write uppercase letters on little paper cups and then have Captain Awesome put the lower case rock letters into the uppercase letter cup. 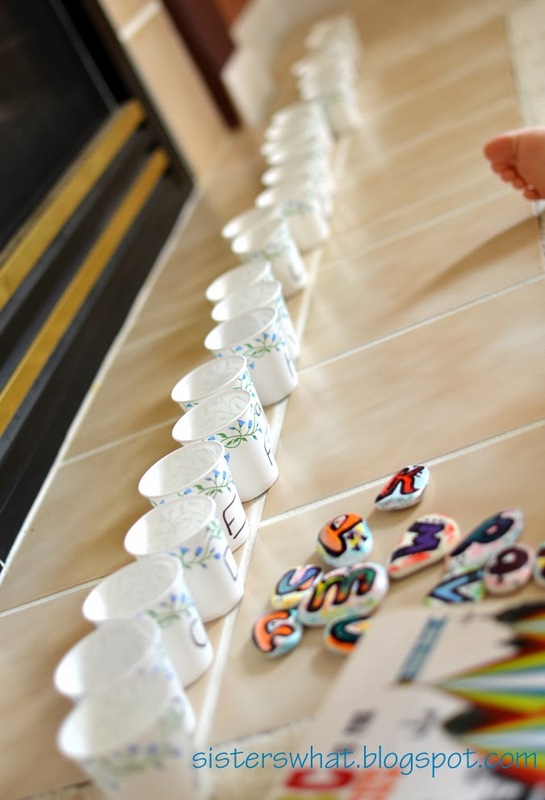 It actually took us two days to play the game since it took us one morning just to write all the letters on the cups. I would have Captain Awesome hold the book and show me which letter came next. With a 3 year old, that took a good hour : ). He was excited when we finally did play and did amazing at matching the uppercase and lower case. As we were doing this activity, I realized that what we were doing was along the lines of the Montesorri Method. Without realizing it, we had created an environment of learning that was optimal for Captain Awesome to learn his letters. An environment that was simple, free of other distractions and that helped him feel in control the activity. In hind sight, I realized that this is similar to how he already knew most of the letters, how he learned his colors and numbers. But honestly, I really don't know the Montesorri method very well, but I think we were on the right path. That night, we showed my husband our new game. 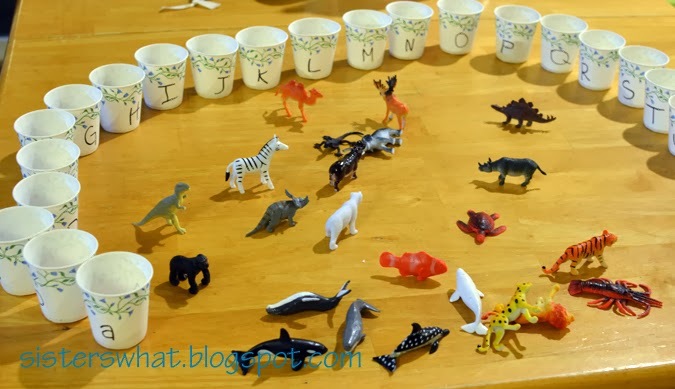 However, being the clever man that he is, he took it a step further and got all of Captain Awesome's little animals and had him one by one put them in the correct cup. I was just so happy how multifaceted this little ABC game became and that my little one loved it so much and really got into it. I love it when an idea comes together and especially when lots of learning happens because of it. 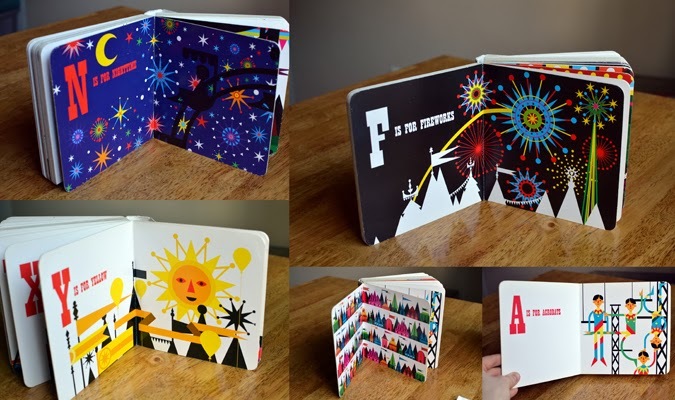 Do you have some favorite ABC learning activity that your kids love? If so please share, we're always looking for new ideas around here.